How much light is to much light. 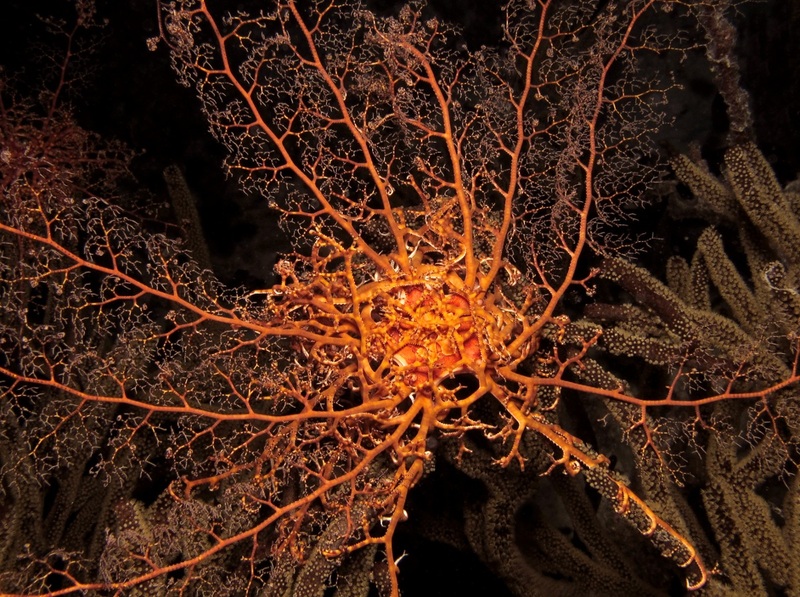 Does anyone have any links to articles relating to the gorgonian species Menella ? Or for that matter any good reading material about Menella. Uhuru/Aquabacs surely you two have come across detailed information, through personal experience or otherwise, regarding this species. Any info would be greatly appreciated. Thanks ! Awesome thread, but I have a suggestion. Could you state the temperature range these guys like? Or, are they all the same? Thank you all for the contributions! I would love to see some more! 45 gallon "Just the Tip" Reef 36"x24"x12"
Since most are from deep waters colder is better. I run my tank at 76. Anyone doing more Menella, especially yellow? This was his previous location when I first got it, but apparently had too much light, flow or not enough food and started to die. 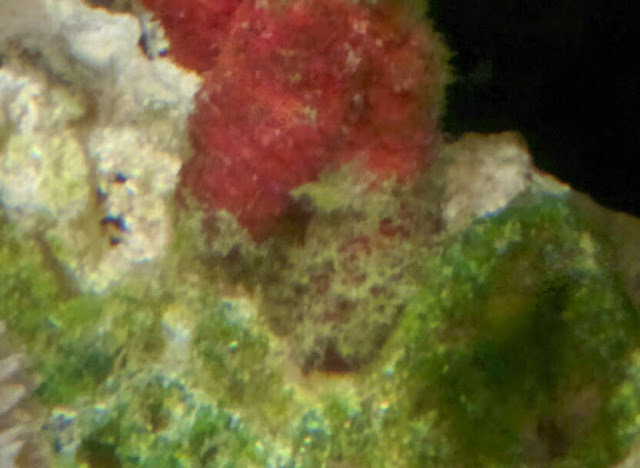 This is the coral when I thought it was dead. 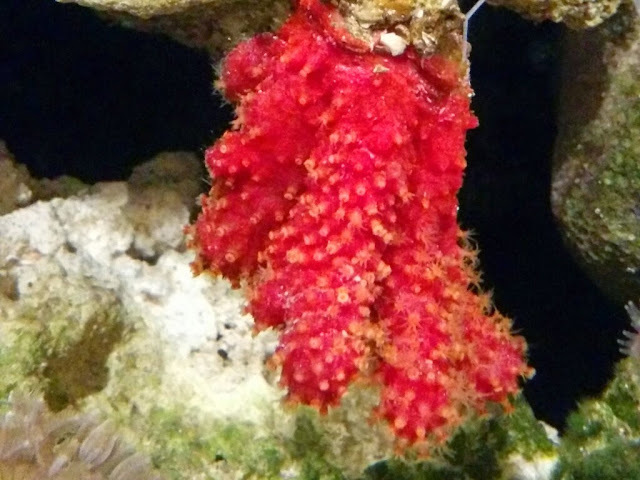 After about 3 months of no polyp extension (Honestly I had forgot about this coral and everything), I did a major aquascape change and tank cleanup and he ended up in the back of the tank against the glass. I never got the urge to throw it away, even though it looked dead, because he still had some red color to it. This is it now in his new location. He loves it. 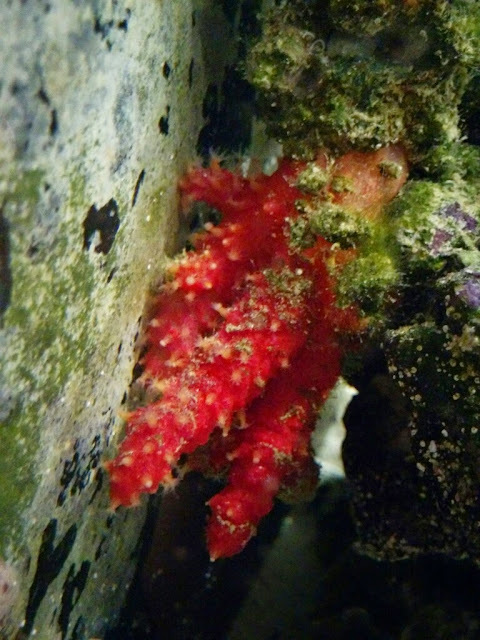 It has deeper red and the polyps are normally out all night. They were starting to go back in on this picture because it was morning. Not sure if stars count, but this one would thrive in an nps tank with a continuous feeding system.